This guide contains 77 most important electrical inspection checklists taken from the 2014 Electrical Inspection Manual with Checklists. The checklists are in PDF format and can be completed electronically or printed and used as hard copy. The checklists are intended to help inspectors keep track of the numerous aspects of an electrical installation that must be checked, verified, reviewed, determined, or otherwise examined for NEC® compliance. 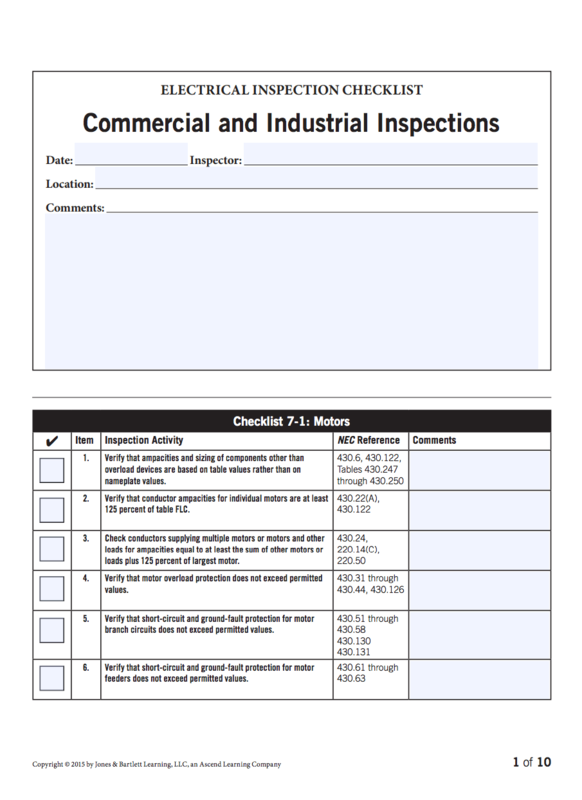 The checklists are also intended to serve as an organizational tool for contractors, project managers, or anyone who conducts, receives, or is responsible for electrical inspections, or who may wish to perform self-inspections, of electrical installations.